At LogMeIn we believe in the power of education. As a leader in bringing next-generation Artificial Intelligence to companies of all sizes, we know that access to education is crucial to developing the workforce that will build upon the technology advancements of today. That’s why LogMeIn’s Bold360 team along with our corporate social responsibility program, Mission Possible, have partnered to offer the Bold360 Artificial Intelligence Scholarship. This program is designed provide students, of any major, a helping hand as they work toward their future goals. Students entering and currently attending college are eligible to apply to win a scholarship of $6,000 ($5,000 for tuition and $1,000 for books). The winner will be chosen based on the quality and substance of a submitted essay. If the criteria below sounds like you, please apply via the application on this page. If you are associated with a high school or university, please spread the word to your students. 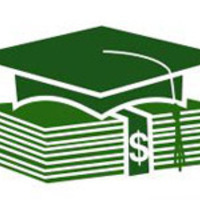 Students must be high school seniors or be currently enrolled in a college or university. Only students enrolled in high schools, colleges and universities in the U.S. are eligible. An applicant’s GPA must be above a 3.0 to qualify. Each applicant must submit an essay of 500-750 words in length based on a pre-chosen topic (see website). Essay submission deadline is May 15, 2019. And the winner will be announced July 1, 2019.